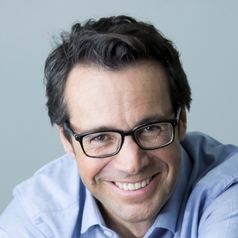 Jacques-Olivier PESME is the Director of the KEDGE Business School group’s Wine & Spirits Academy. Holder of a double doctorate (University of Bordeaux and University of Florida), and a specialist in stakeholder, territorial and international market strategies, he is regularly called in to work with private companies and various national and international public institutions (UNCTAD, WTO, EU, United Nations, etc.). He is the founder and manager of a collection published in cooperation with the World Trade Organisation in Geneva. Administrator of the Institut des Sciences de la Vigne et du Vin [Institute of Vine and Wine Science] (Faculty of winemaking of Bordeaux), and winner of the first prize of the Oenovation Prize in 2004 for the best technological innovation in wine, he is a radio commentator on the InVino BFM programme and collaborates with organisations in the wine sector in France and abroad. Rated as being one of the most influential figures in the wine world (Revue du Vin de France 2015 - French Wine Review) for his work to support the sector, he is currently working with the Canadian federal government on the prospects for developing and structuring the Canadian wine-producing sector. Jacques-Olivier PESME is the Vice-President and founder of the Wine & Business Club of Bordeaux.